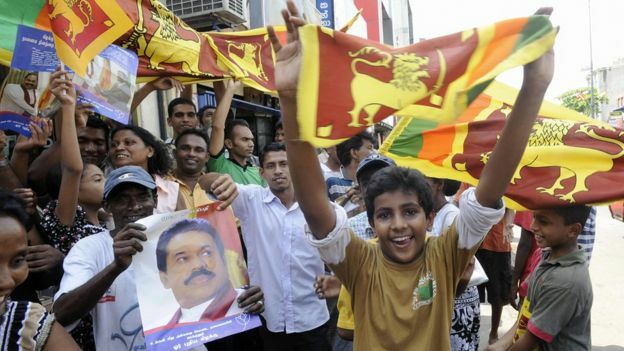 Mahinda Rajapaksa, who dominated Sri Lankan politics as president for a decade, is now vying for power again – this time as prime minister. In a move opponents are calling unconstitutional, the island’s parliament has been dissolved and fresh elections scheduled for January. Many now fear the return of a man accused of presiding over serious human rights abuses, as Charles Haviland reports. I met him for the first time in 2010, in the early stages of a five-year stint as the BBC’s Sri Lanka correspondent. I and my colleagues had turned up at his rural home totally unannounced. We were greeted by his son – and heir-apparent – Namal and were ushered in to meet the powerful leader, who was relaxing in his front room. We chatted at length. We were served tea. At no point did Mahinda Rajapaksa check the time, or imply we should leave. At later meetings, usually in a crowd of journalists, it was the same story. He would pat the seat next to his one. “Come and talk,” he would say. That charm, combined with his oratorical skills and his folksy appeal to the Sinhalese masses, gave him, and still give him, huge popularity among the Sinhala people who make up about three-quarters of the island’s population. He had done a good thing, wrote an admirer on a news website, for liquidating the LTTE who had killed civilians “through indiscriminate shooting, hacking and blowing up buses, trains, shopping malls etc”. 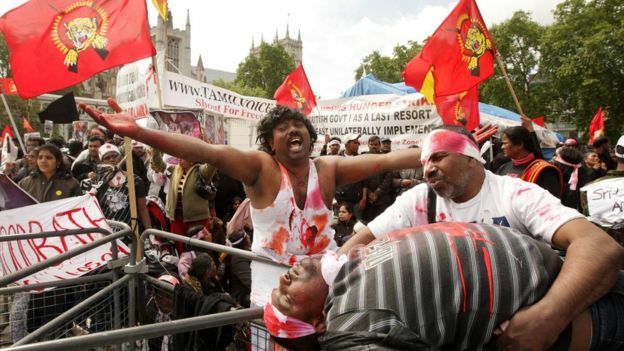 So for all the cheering crowds in Colombo streets at the war’s end in May 2009, there was an equal number of people, mostly Tamils, silently mourning. They had lost infants, elderly parents, spouses and siblings as the army battered the last small pocket of land held by the LTTE – which, it is important to stress, would not let them leave. They had seen their homes razed to the ground. 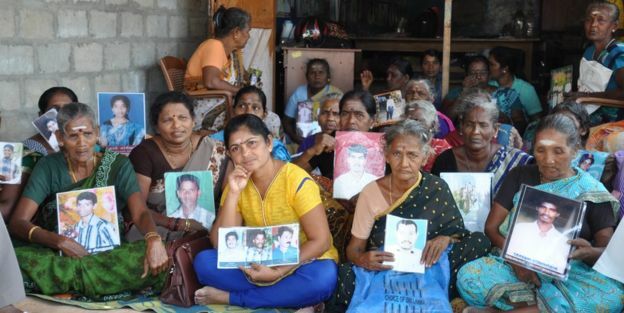 They had seen their loved ones, conscripted by the LTTE, then forcibly “disappeared” after surrendering to Mr Rajapaksa’s government forces. Or they had themselves been maimed. I will never forget a young woman working in a small shop in the former LTTE stronghold Kilinochchi three years after the war’s end. When I cautiously raised the subject of the war she quietly emerged from behind the counter and delicately moved parts of her sari to show us a shrapnel wound. There were the accounts, too, of surrendering LTTE forces being killed even while waving white flags, or after being taken into custody. The video evidence of this that emerged at and after the war’s closing stages was compelling, despite the government’s strenuous denials. In September 2018 came an admission from the horse’s mouth. SB Dissanayake, who had served as Mr Rajapaksa’s higher education minister, publicly said that many LTTE rebels were killed in army custody. He singled out one example, Thambiraja Thurairajasingham, an LTTE military commander widely known as Colonel Ramesh. Mr Dissanayake said Ramesh had phoned him to give notice of his impending surrender. “Ramesh surrendered, and Ramesh was killed,” the ex-minister told a Sinhala-language news conference, smiling. I remember similar creepy smiles from the defence spokesman at the time, Keheliya Rambukwella, commenting on the undisclosed fate of a (Sinhalese) satirical journalist who had disappeared in 2010. It was a cause for banter between him and his ministry colleague – who smiled and indeed laughed in front of the press, many of whom also laughed in seeming agreement. For me, covering the war’s aftermath, disappearances were perhaps the most haunting of the rights violations – the very large number of disappearances among ex-rebels and Tamil civilians in the north, but people also vanishing in Colombo, the city I called home. I met Shiromani and her infant at their Colombo home just weeks after the disappearance of her businessman husband, whose court case against the police for alleged torture in jail was about to be heard. That was six years ago. She is still awaiting news. Many others similarly vanished. At that time, a newspaper reported a senior police officer as saying they had “plenty of white vans” to bring to anti-government street protests. Such vans are still notorious as the instrument of alleged state-sponsored abductors. Ranil Wickremesinghe, the prime minister recently sacked by his erstwhile ally, President Maithripala Sirisena, but who says he remains the rightful PM, has in the past crudely brushed aside concerns over disappearances. Last year Mr Sirisena dashed hopes that alleged war crimes would be investigated by saying he would “not allow anyone in the world to touch” any military chief or “war hero” – shorthand for the overwhelmingly Sinhalese army. In September 2015, unveiling a hard-hitting report on Sri Lanka, the UN’s human rights chief Zeid Ra’ad Al Hussein said it laid bare grave crimes committed by both sides, including indiscriminate shelling, extrajudicial killings, enforced disappearances, harrowing accounts of torture and sexual violence, and the forced recruitment of children. He called for a special court, including foreign judges, to investigate. 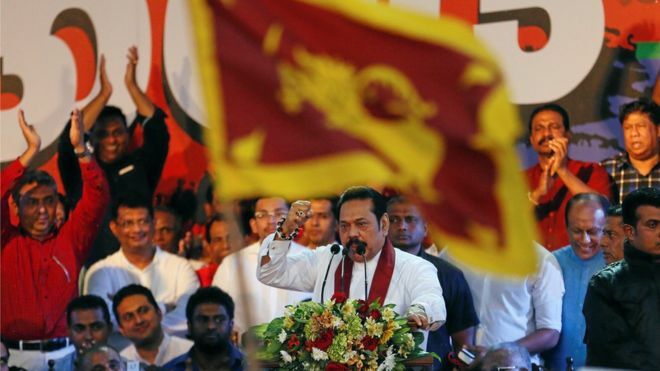 With Mahinda Rajapaksa now the president’s preferred choice for prime minister – through means that experts say are unconstitutional – the prospect of any such court being set up within Sri Lanka now looks more distant than ever.